Not sure what kind of apples I have here. My long held assumption was Prairie Spy but online photos and descriptions don’t quite fit. These are early, soft, and good for baking and eating–unless what you are looking for is a sour jawbreaker of an apple. 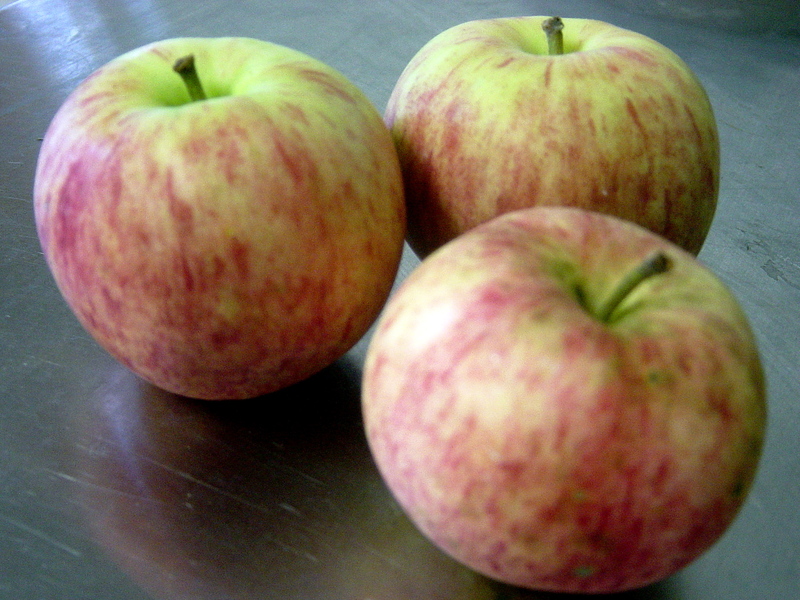 These apples have a delectable, cidery fragrance that fills the entire house. The flavor is mild and tart at the same time. I picked in the good ones, and fed the others to the horses. With store bought strawberries and peaches in the house that have to be used, I am planning on making a mixed fruit cobbler this weekend. You are currently browsing the The Blueberry Tales weblog archives for August 2010.